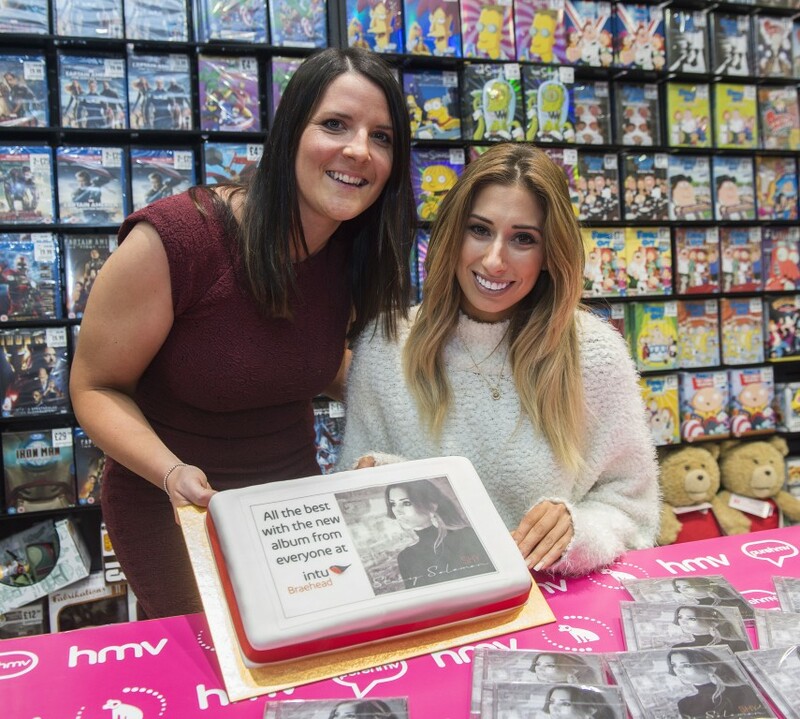 Launching her debut album on Monday was a piece of cake for singer and TV star, Stacey Solomon. The X Factor star and former winner of I’m a celeberty… Get Me Out Of Here was at intu Braehead signing copies of her album, Shy, in the shopping centre’s HMV store. And bosses at the mall presented Stacey with a special cake, with a picture of the album cover and a good luck message printed on the icing on top. The album, which features collaborations between Stacey and Lily Allen and Rita Ora, was released in the shops yesterday. Fans turned out in big numbers yesterday to meet Stacey, 25 and get her to sign copies of her album at the intu Braehead HMV store. Stacey said: “I picked Scotland to launch the album because I love the vibe up here and everyone is so friendly and kind. “Getting the cake is fab and it looks brilliant. I’ll share it with my team who have been working so hard promoting the album. Marketing manager at intu Braehead, Lydia Brown said: “Stacey has had a fantastic career since we first saw her on X-Factor and it’s brilliant that she choose to do her first signing session for the new album at intu Braehead. “We’ve had a listen to the album in the office and we all think it’s great.